Bank lending to the struggling dairy sector has topped the $40 billion mark, according to new Reserve Bank figures. The annual figures for the year to June 2016 show that borrowing by the dairy sector accounts for pretty much exactly two-thirds of the $60.021 billion banks have advanced to New Zealand's agricultural industries. This is the last time the RBNZ will be releasing these annual figures in this form. It says it has been working with the registered banks since mid-2015 to develop a new registered bank balance sheet collection that will replace the Annual Agriculture Credit Survey. From next year it will publish more frequent statistics providing "more timely insights" into agriculture sector credit activity from the new registered bank balance sheet collection. Dairy debt had been increasing quickly in the face of falling global prices and slumping returns for farmers. But the debt figures have levelled off in more recent times and now global prices are showing signs of recovery. 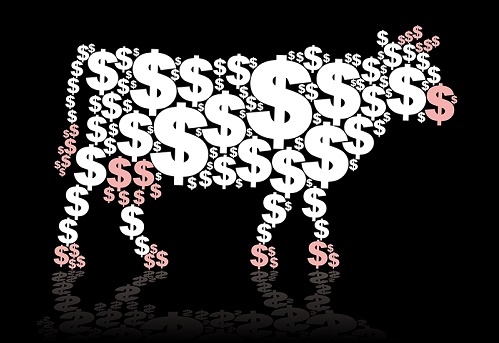 The RBNZ figures show that dairy debt rose $2.332 billion, or 6.2%, in the year to June from $37.746 billion to $40.078 billion, accounting for the majority of the increase in total lending to agriculture, which rose from $56.603 billion to $60.021 billion. Dairy debt has made up about two thirds of the total in recent years after surging in the earlier 2000s. Ten years ago, dairy debt made up slightly less than half of the just $28.5 billion of total agricultural industry debt. The detailed breakdown of the latest year's figures shows that $27.787 billion of the diary farm debt is on fixed rates, with $12.291 billion on floating. The latter figure is down from $12.575 billion on floating as of June a year ago. Across the whole agricultural sector, $41.525 billion of bank debt is on fixed rates, while $18.426 billion is on floating. These figures compare with $37.317 fixed and $19.286 floating a year ago. The Reserve Bank's separate sector credit figures show that banks have over $90 billion loaned to businesses and nearly $240 billion advanced to households, mostly as mortgages. what would agri. defaults be if the banks weren't capitalising interest? Dairy debt has grown about $6b in the past few years, of which very little would be "new" lending. Are valuers busy revaluing farms up and down the country, or are the banks burying their heads in the sand on this one. Also I see Rabobank is on the box aggressively advertising for deposit funds again - is there anything in that? How else are they going to continue to fund this expansion now that Rabo parent has all but cut them off. Should we be concerned? "what would agri. defaults be if the banks weren't capitalising interest?" "but the sales are not a sign the state-owned enterprise is under financial stress says chief executive Steven Carden"
Could we redirect a small portion of that $ 40 Billion , to the good folks of Havelock North , to construct a freshwater system that is 100 % Pure , free from any risk of dirty dairying poisoning them ? Yes indeed, it appears the head of the bore was not properly secured against ground water and possibly the contamination came in with heavy rain from sheep grazing nearby. You are correct Doris. It was sheep, not dairy, and it was a bore fault, not intensive farming practises that did it. But hey, we shouldn't let the facts get I the way of a good farmer bashing right. Havelock Norths problem was poor management. The water supply was seen as secure and not chlorinated. Simple. We have our treated rural water scheme water tested 3 times a week to ensure good chlorination. I suspect there was a lack of monitoring with that bore. Chlorine takes 1 - 2 minutes to kill any bacteria. People need to wake up and realise that bacteria have always been in our water. We had an E.coli witch hunt a couple of years ago. In an interview on The Country radio show, water quality commentator Mike Joy says he wants human food to be free of animal products by 2050.
he did however acknowledge that there will always be wealthy people that want meat in their diets, and that perhaps this was the opportunity or market niche for NZ to exploit given we can meet the premium market more efficiently and with more class than our competitors.